Avoka is on track to increase the number of employees by 50% this fiscal year, with growth in all regions - Australia, North America and Europe. Avoka, the leader in digital customer acquisition for financial services, recently added key executives to its team as part of its global expansion. Jim Scott has joined as Senior Vice President for Global Human Resources, Colin Matthews joined as Senior Vice President for North American Sales and Account Management, and Nick Edwards as Director of Sales for Australia and New Zealand. The additions are part of continued record business expansion that will add 50% global headcount to the company during the current fiscal year. Jim Scott will have responsibility for leading and managing all aspects of HR functions at Avoka, particularly important in driving global expansion. Jim comes to Avoka with nearly 20 years’ experience in senior management roles and over 12 years as a Human Resources executive. 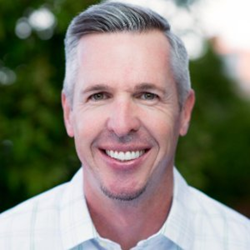 Jim was the Vice President of Human Resources for Casey Industrial, and the Executive Director of Human Resources for Inflow, a Denver-based managed internet services company. He has experience managing business units in several U.S. markets, and spent two years living in London and leading the European operations for Frontier Videoconferencing. Jim is based in Broomfield (Denver) Colorado, Avoka’s North American headquarters. Nick Edwards joins Avoka in the Manly (Sydney) Australia office, after following the business closely for some 18 months. He has partnered with Avoka in his most recent role as Head of Sales for Australia and New Zealand for Experian Decision Analytics. In that role, he was responsible for the distribution of product through the financial services and telecommunications verticals as well as managing ongoing client relationships. As a member of the leadership team, he assisted in ensuring the overall health of the business, financially and culturally. As part of the APAC ‘Future Leaders’ program, he was invested in the success of the business regionally. Prior to Experian, Nick worked at before that he worked at First Data and BlackRock managing financial institution relationships. With over 25 years in operational leadership roles, Colin Matthews brings a unique blend of go-to-market, business development and operational leadership experience to Avoka. Colin has held a variety of executive sales leadership positions at several leading fintech companies - helping drive two successful IPOs at Yodlee and LifeLock (ID Analytics). As Chief Client Officer at ID Analytics, Colin led business strategy, client success, sales and revenue growth. At Yodlee, he led top-line growth at top retail banks, online brokerages and financial portals. Prior to Yodlee, Colin led sales, strategic alliances and product management for FICO’s Scoring Division – spearheading distribution of their industry-leading FICO credit risk solutions to the top financial institutions in North America. Colin is based in the Broomfield Colorado office. “One of our biggest accomplishments over the past year has been building our team with high quality, experienced individuals”, said Philip Copeland, Avoka CEO and Founder. “These latest executive additions reflect the momentum in our worldwide businesses and our ability to attract top talent.” Avoka is on track to increase the number of employees by 50% this fiscal year, with growth in all regions - Australia, North America and Europe. Avoka accelerates customer-centric digital transformation in financial services, government and other industries. Avoka Transact creates omnichannel customer acquisition and onboarding experiences that accelerate customer acquisition and time to market. Avoka was founded in 2002 and has digitized over 100 million transactions for 150+ global clients. Avoka is based in Denver, CO, London, England and Sydney, Australia. Visit us at http://www.avoka.com/.